Just over one month ago, we embarked on a new initiative – called Michigan Achieves – to make our great state a leader in public education once again. 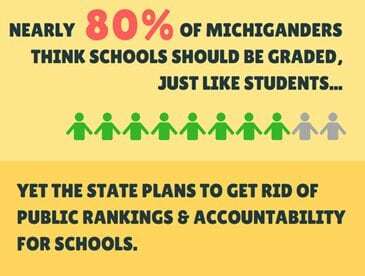 Understanding that our children and our collective future deserve and demand better, we identified best practices for education improvement and invited Michiganders to join us in this effort. Your support has been truly humbling. Thousands of Michiganders have joined the movement by pledging support (add your name here). Media coverage of our 2015 annual report, Michigan Achieves: Becoming a Top Ten Education State, has been overwhelming – with articles on the report and campaign potentially reaching more than 70 million readers. An increase of $70 million to support instruction and services for Michigan’s most vulnerable students. These investments are only the beginning steps forward, though. Our work to make Michigan a top ten education state has just begun, and we thank you for your support. Through your deep commitment – and the continued commitment of parents, educators and leaders across the state — we can transform our public schools and provide all of our students with the great education that they deserve. At Brimley Elementary School, where 59 percent of the students qualify for free and reduced-price lunch, a larger proportion of students met or exceeded state reading and math standards than the state average. 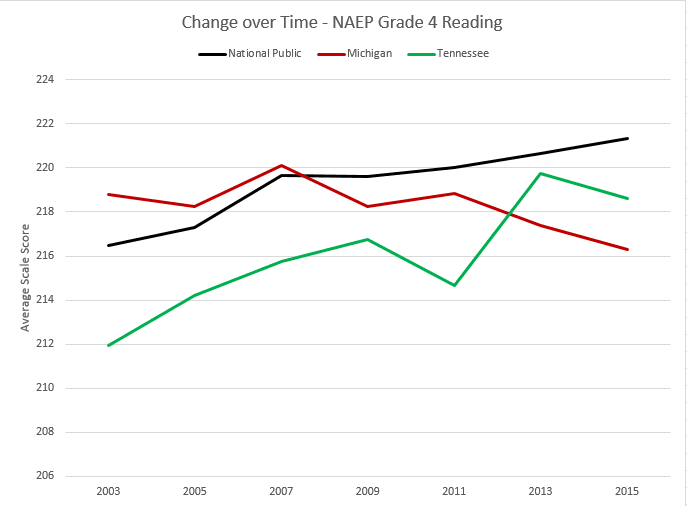 For example, 82 percent of the school’s fifth-grade students from low-income families met or exceeded state reading standards, compared with only 59 percent in the rest of the state. Many of the students live on the Bay Mills Reservation just west of the town in the eastern Upper Peninsula, and 53 percent of the school’s American Indian fifth-grade students met or exceeded the state’s math standards, compared with 52 percent of the state’s white students — and 36 percent of the state’s American Indian students. “It is a proud fact that Native students outperform non-Native students in some subjects and some grades,” says Principal Pete Routhier.Brimley Elementary helps dispel the myth that there is little schools can do to help students overcome poverty, isolation and discrimination.Michigan Public Radio also recently profiled Brimley as a school from which to learn.Brimley Elementary School is featured in Michigan Achieves: Becoming a Top Ten Education State, as a Michigan Success Story.Learn more about what is working at Brimley Elementary School. HIGH-QUALITY EDUCATOR EVALUATIONS STILL POSSIBLE. The House Education Committee met twice last week to hear testimony on Senate Bill 103 (Pavlov – R), regarding teacher evaluations. As outlined in our June 4 testimony, however, the bill does not ensure high-quality, consistent evaluations and educator support. These concerns were also raised by legislative leaders on the committee and the Governor’s office. The committee did not vote on the measure. SENATE PASSED ‘EARLY WARNING’ LEGISLATION PACKAGE FOR SCHOOL DISTRICTS WITH TROUBLED FINANCES. The bill package includes Senate Bills 4325 – 4330 (Sponsored by Polkeski, Pscholka, Lyons, Somerville, and Kelly). The House of Representatives has adjourned for a three-week recess. Click here to view entire update.